Take Off is a six song debut EP from 19-year-old Vancouver, native Mac Faoro. The British Columbian writes, performs and produces all is own music and so far he has done a great job. Girls of all ages are going to swoon over this cutie, cause he can sing! 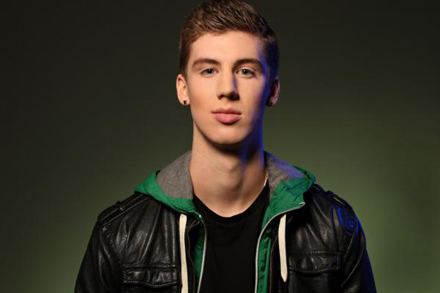 So far Faoro has already received tons of attention on YouTube via his amazing top 40 covers. 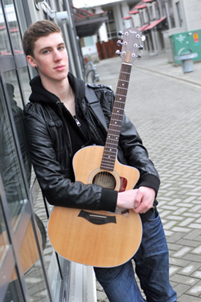 In addition to his covers, Faoro has filmed a handful of his originals in various locations throughout the Lower Mainland, including White Rock and downtown Vancouver. Take Off begins with the sweet sounding track Better On The Phone. It’s obvious Mac writes and sings from the heart and his passion for music is noticeable in all his tracks. The young performer has a One Direction feel to his EP, and if you ask me, it works. One of my favourite tracks on the EP is Kiss You In The Morning. It’s song super up beat and catchy. This tune will have you dancing in your seat and signing along in no time. The EP continues with great sing along lyrics and melodies that will bounce in your head all day long. His ballads will touch you and you will be hooked. Mac Faoro has done a great job on his EP and will be giving other indie and YouTube stars a run for their money in no time. I can’t wait to see what he will come out with next. This is a well-rounded debut EP that I think many will appreciate. The work Mac has put into each song is obvious and I’m happy I’ve been introduced to another great talent from the west coast.